Work remotely. Reach clients globally. We help remote tech workers find cutting-edge jobs with great clients around the world. We’re seeking highly-capable freelancers to join our team. From getting started to getting paid, Scalable Path makes remote work easy. We take care of the logistics so you can focus on your project. The search is on for top-notch talent. Tech contractors with savvy and expertise are in high demand at Scalable Path. In the last year, we've tackled hundreds of projects from businesses around the world. Scalable Path holds its contractors to the highest standards. 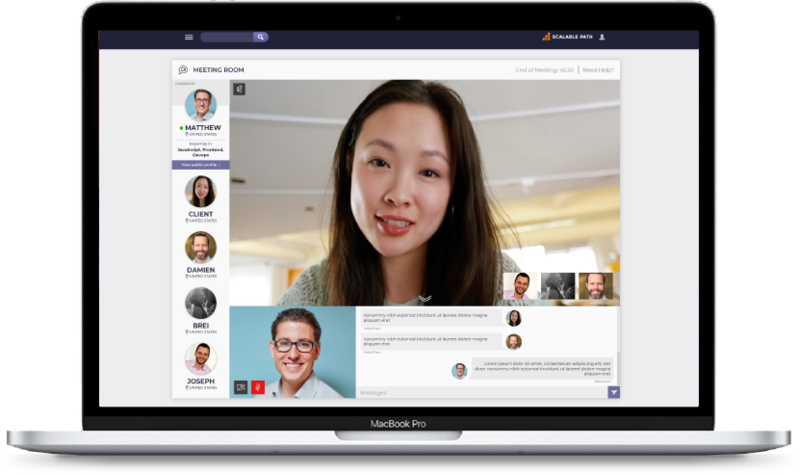 Developers often participate in daily virtual meetings and real-time collaboration with clients. Here’s what it takes to be a part of our team. Excellent communication and English skills. A fast, reliable computer and internet connection. Overlap with clients' business hours for real-time collaboration. Creating an account with Scalable Path doesn't take long. You've got nothing to lose and could end up landing a great client project. By creating an account in our platform, you will have the opportunity to work with our clients around the globe. The more complete and accurate your profile is, the more likely you are to get invited to apply for a project. Be sure to honestly assess your skills, so that we can identify which projects are a good fit for you. Our recruitment team will invite you to apply for positions that match your skill set. 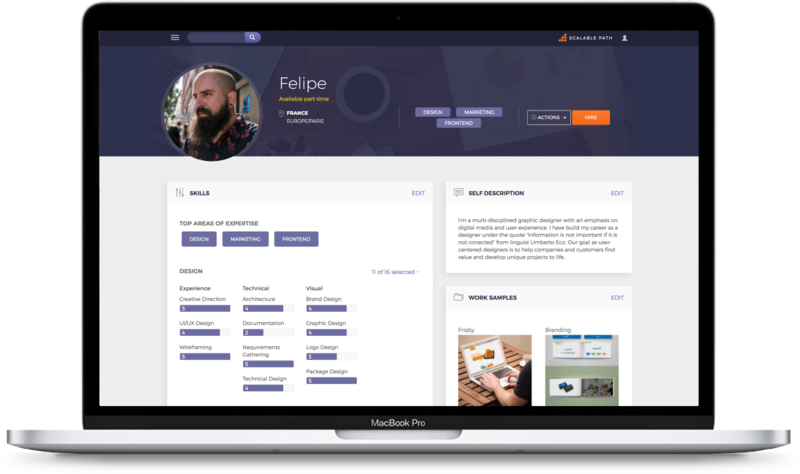 For each new client project, our recruiters search the freelancer profiles in our system. We match skills, availability, and time zone and if you are a good fit, we invite you to apply. Once you are invited to a position, you can apply for the role if you are interested and available. As part of the online application process, you will be asked to answer some questions related to the position. The most promising applicants will go through a three-part interview process. If you pass the initial recruiter interview, you will have a second technical interview with one of our software architects that includes a coding exercise. Candidates who pass our internal interviews will be presented to the client. Each client then decides which candidates they would like to interview. Work directly with our clients all over the world, as part of a remote team. If you pass the client interview, you will work directly with founders, CTOs, team leads, and other in-house developers on their projects. You will be part of the client's team, but will submit weekly timesheets to Scalable Path and receive payment from Scalable Path on a monthly basis. Once you work on a client project, you will become a part of the Scalable Path team and you have the support and guidance of our community.